"combines an array of elements to create an unsurpassed dining experience"
SeaFood at The Plettenberg combines an array of elements to create an unsurpassed dining experience. The sand, beach and sea have been brought into the restaurant in the colours, mood and design. Unrivalled views of the breath-taking Formosa Bay are complimented by the décor, and together they create the perfect platform for the SeaFood cuisine. Here the chefs create modern South African fare that is seasonally influenced. The menu - designed by The Collection's award-winning Executive Chef Peter Tempelhoff and his team - places great emphasis on fresh produce from local green-friendly suppliers and this gives SeaFood at The Plettenberg the unique ability to showcase a true taste of the bay. 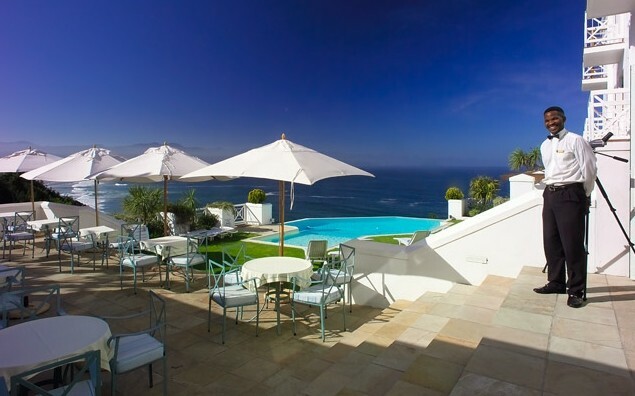 It's Roasting at the The Plettenberg every Sunday! Spend quality time with friends and family, whilst enjoying a traditional Sunday Roast for just R150 per person. Terms and conditions apply. Booking essential.